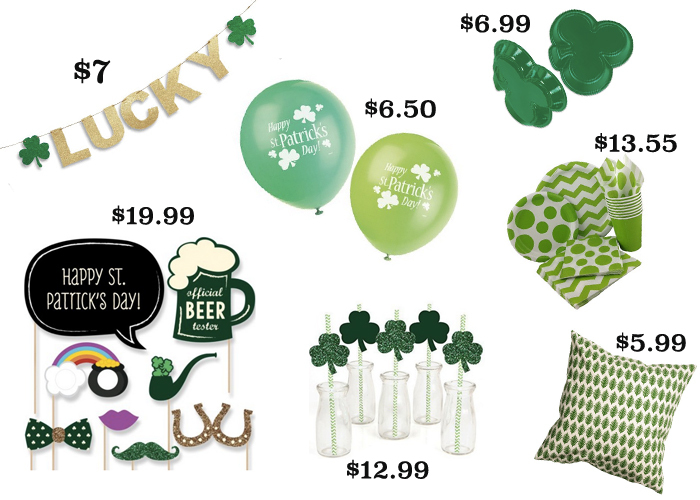 Affordable St. Patricks Day Party Decor – Shipping Just In Time! Its our bed we all anticipate after a long hard day of work and although on weekends we should get out more (move people!) 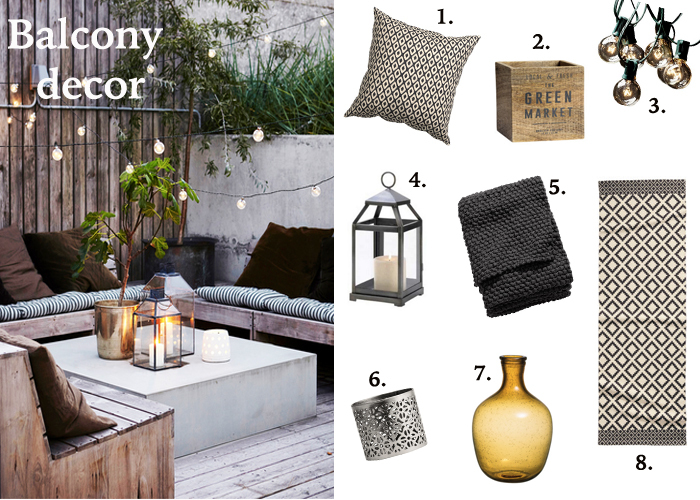 with these essential decor items your bedroom is going to feel even more cozy and harder to leave 😉 So why not turn it into a retreat sanctuary, we deserve to get some rest before the week starts again, right? 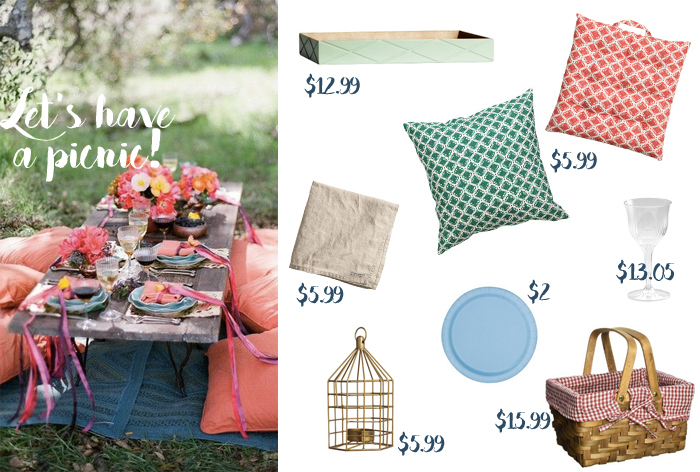 Take a couple of cute pillows and place them on your bed, they will give it an instant boost of cozyness, for example with this turquoise cushion cover ($5) and a printed cotton cover ($2.99). Sleep is the most important for your body to recover, why not do it in style with this padded sleeping mask ($6.99). To give your bedroom a calming theme whats better to use than a framed print that delivers the message. 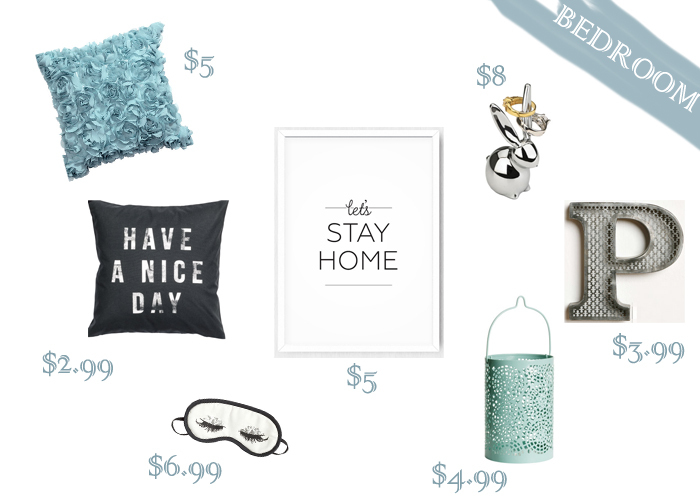 You can find a lot of fun ones on Etsy, for example a “Let’s stay at home” typography print ($5.00). Take off your jewelry when you go to bed, otherwise you can’t relax and might wake up with unpleasant pressure marks. Use this cute bunny ring holder ($8) and place it on your nightstand. Currently there is nothing more hip than letter wall decor, just get the first letter of your name and place it on your shelves, wall or just standing on the floor. To turn your bedroom from preppy to a bit more cozy use this vintage look letter ($3.99). What gives more atmosphere to a room than some candlelight, especially when you place a candle in one of these patterned candle holders ($4.99), it will instantly make you feel like you’re in a moroccan spa! 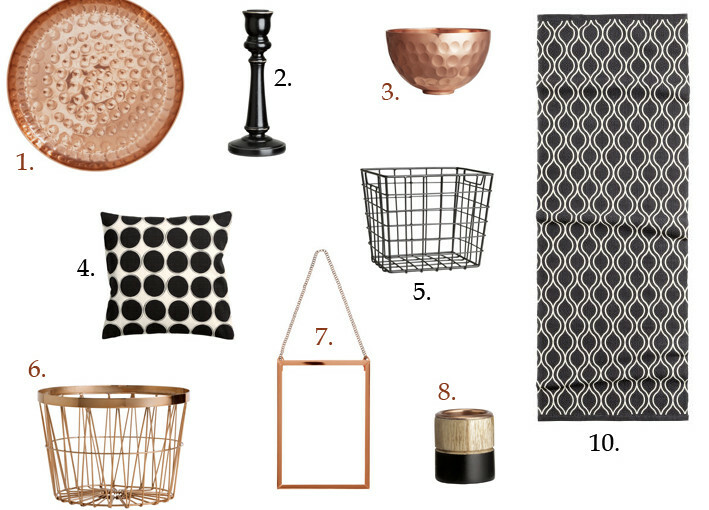 I feel like everything thats copper is slowly disappearing from the shelves, but to be honest, I don’t care – I’m still so in love with copper decor and its hard for me to pass by a pretty copper candle lantern or basket. But since copper looks the best with black and white combinations I thought I’ll find the best deals for you, and all items are available at one shop – so convenient!